This story was originally published June 30, 2014. A slew of new laws go into effect across D.C., Virginia and Maryland on Tuesday, July 1. Read on to check out some of the new laws and how they may affect you. Minimum wage will increase Tuesday in D.C, giving workers -- regardless of the size of their employer -- an hourly pay rate of $9.50. Under the new law, minimum wage will go up $1 each year through 2016, when it will cap at $11.50. The law won't raise the minimum wage (which is $2.77) for restaurant workers who rely on tips. However, if an employee’s hourly tip earnings along with the base minimum wage do not equal the District’s full minimum wage, the employer must pay the difference. In Montgomery County, a new law will allow hair salon customers to have a glass of wine or champagne with hairstyling service. The law was passed after a regional manager for Drybar lobbied for the change. "BYOB" will be outlawed in Calvert County. Specifically, you will not be able to consume alcohol in county businesses that don't hold a license. MORE NEWS: Michelle Obama: "There Is No Crack in Our Pies"
Retailers are now prohibited from selling alcoholic beverages with an alcohol content of 95 percent (190 proof) or more. The law had strong backing from leaders of colleges, who said grain alcohol provides a cheap way for students to get heavily intoxicated very quickly before they know what hits them. "This is a product that college presidents identified as a substantial problem on their campuses," said David Jernigan, an associate professor at the Johns Hopkins Bloomberg School of Public Health. "It packs a wallop that is easily disguised." "Vaportinis," which make it possible to inhale alcohol through a glass straw, will also be banned. A Vaportini device has a glass sphere filled with alcohol and a candle beneath it. The heat evaporates the alcohol, and the user inhales the vapors. The alcohol is absorbed directly into the bloodstream through the lungs. The law makes it a misdemeanor to use such a device. You will pay a little more to fill up your gas tank. Starting Tuesday, the state's gas tax will increased by less than a penny per gallon. The tax will pay for transportation upgrades across the Maryland. There will also be new financial incentives to purchase plug-in electric vehicles and recharging stations. The state will continue offering a tax credit on the purchase of plug-in electric vehicles through June 2017 and, in most cases, increases the value of the tax credit by changing the calculation based on a vehicle's battery size. New laws to help victims of crime also are taking effect Tuesday. One requires the Governor's Office of Crime Control and Prevention to create and expand programs for those who have lost family members to homicide in the state. The state budget includes $500,000 for a grant program to help them.Programs include providing and facilitating referrals to appropriate legal and mental health counseling services for survivors of homicide victims, including specialized support services for adult and minor survivors. Another law will enable victims of crime receive faster information about court cases through email. Previously, those notices came by mail through the U.S. Postal Service. If you live in Prince George's County, homes with a gas heating system, fuel-burning appliances or an attached garage, you must install carbon monoxide detectors. Six people died from carbon monoxide poisoning in the county in the last three years. 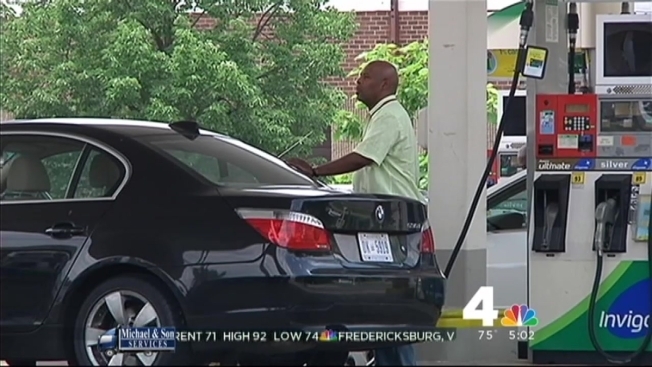 Among the changes in Virginia is the repeal of the $64 hybrid vehicle license tax. Those who renewed hybrid vehicle registrations for multiple years are entitled to a refund. Refund checks will be issued beginning in July. Beginning in July, active military members who are returning from an official absence have 14 calendar days to obtain a current vehicle safety inspection sticker. That's nine more days than the current law. The DMV also will be requiring those convicted of a DUI to install an ignition interlock system as a condition of restricted driving privileges, even if the court doesn't require it. Drivers also can indicate an intellectual disability or autism spectrum disorder on their driver's license or identification card. Those hoping to get the designation added must present a signed statement from their doctor to the DMV. Reform is coming to Virginia's mental health system. New legislation extends the length of time allotted for finding a psychiatric bed for those under an emergency custody order from six to 12 hours. After eight hours of searching, if no private beds can be found, a state hospital will now be required to admit those under an emergency custody order. Virginia is reducing the number of standardized exams, known as the Standards of Learning tests, for middle and elementary school students. They will now have to take 17, down from 22. The state will now require new state textbooks note that the Sea of Japan is also known as the East Sea. The legislation was the result of intense lobbying by the state's large Korean-American community, which the Japanese government strongly opposed. Stiffer penalties will also be enacted for those found guilty of injuring someone with celebratory gunfire. The law,spurred on by the tragic death of a Virginia boy last summer, raises the penalty to a Class 6 felony, eligible to receive up to five years in prison. Virginia law had previously deemed Sunday a day of rest for wild birds and animals, and hunting was banned. Proponents of the measure allowing hunting said Virginia's old law was outdated and unnecessarily hurting the state's economy. Opponents of Sunday hunting said the ban made it safer for nature lovers who don't hunt to get outdoors. Alexandria is giving food trucks a chance starting Tuesday. During the pilot program, trucks will be allowed to serve customers at churches, schools and parks. They are not allowed to operate curbside.